Turning a challenging aspect of a landscape into a focal point of a design is often time very rewarding. The end result often times looks like it was meant to be, we love when that happens. 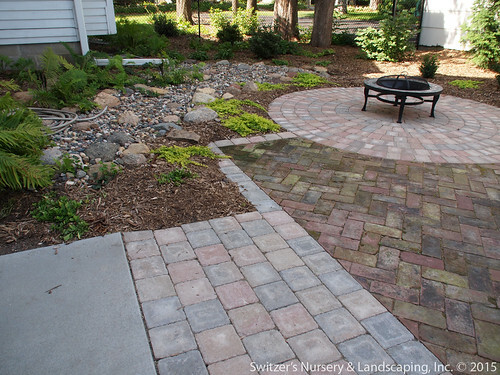 Have you ever found yourself standing in the middle of your yard or garden saying something like, “I know what I want but I don’t know how to put it all together and what do I do with THAT!” All yards or landscapes have what can be perceived as difficulties, obstacles or challenges. 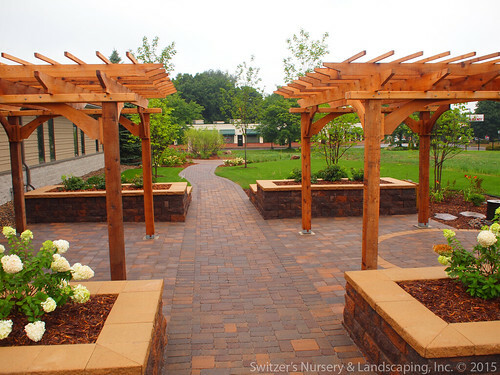 When you embrace and look to enhance these challenges, that is when a landscape design become incredibly special. The glass is always half full and filling for a landscape designer when visiting a potential site for the first time. Take for example the project in the accompanying images. 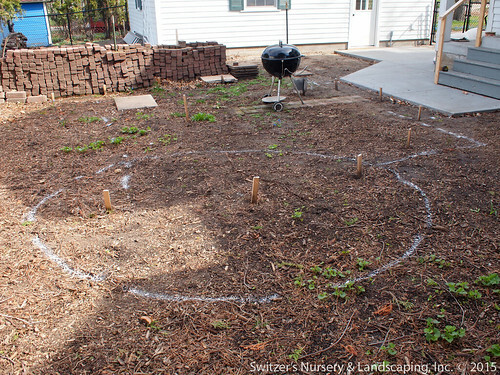 The original grade for the backyard was one big slope that made the desired use a bit challenging. The natural stone retaining wall was extended out nearly 30 feet from the home and included the stone steps to create two level garden areas. The cedar arbor added at the top of the steps extenuated the transition between the upper vegetable garden and the lower flower garden. 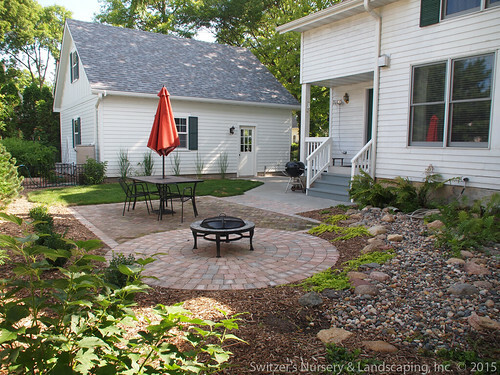 The lower garden then became host for the paver patio and outdoor dinning area. The large retaining wall allowed for the grading to be more level and conducive for each activity. 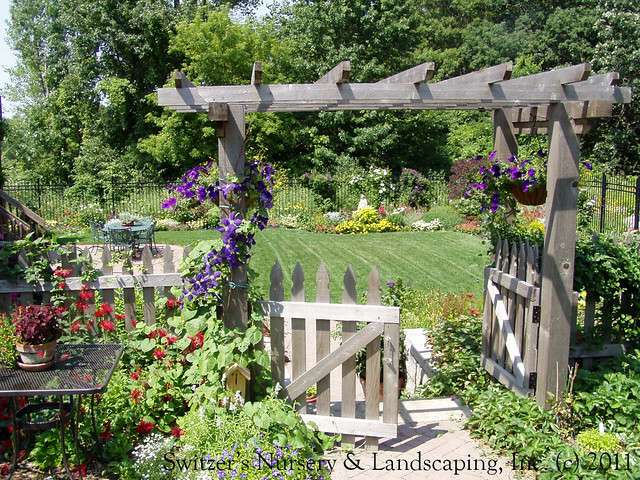 The cedar arbor at the top of the steps creates a beautiful frame of the lower flower garden. 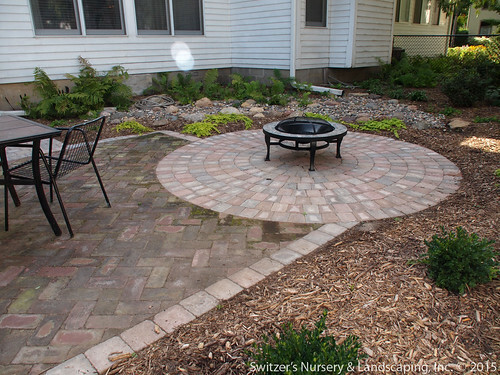 With the natural stone retaining wall extended further into the yard the lower flower garden hosts a beautiful paver patio. The space easily flow from one to another. 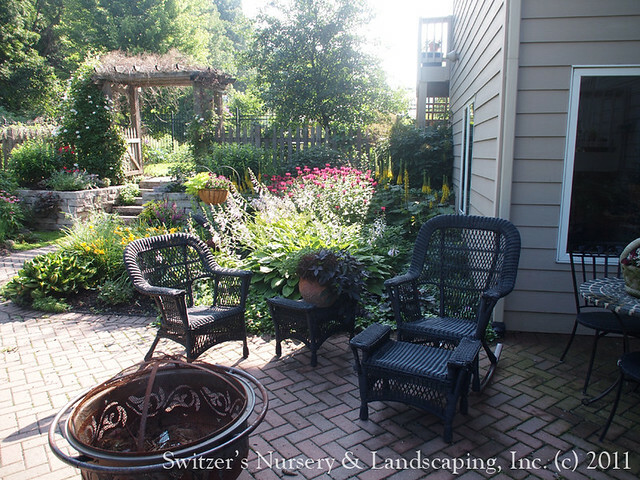 Don’t be afraid to bring in a professional landscape designer to help work through difficulties in your landscape. 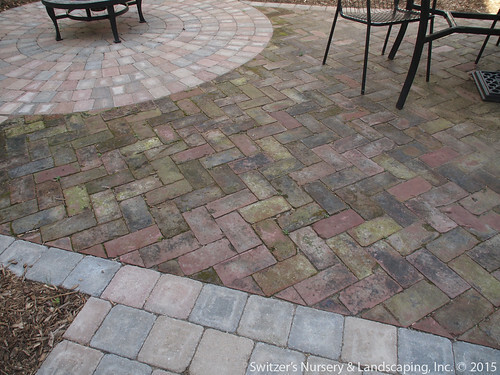 They can bring fresh eyes and have years of experience in dealing with challenging sites. But, remember this is their career and have dedicated their life honing their skills. Make sure to duly compensate them for their ‘ideas’ and knowledge. 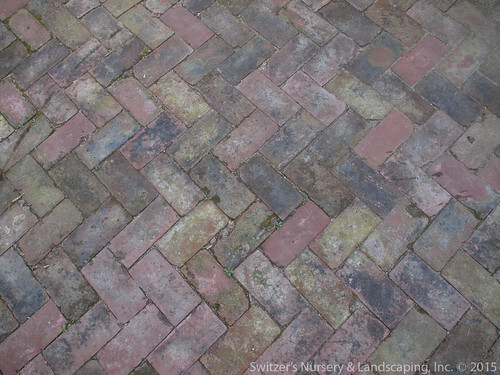 Taking difficult obstacles and turning them into beautiful landscapes and gardens is always a rewarding journey. 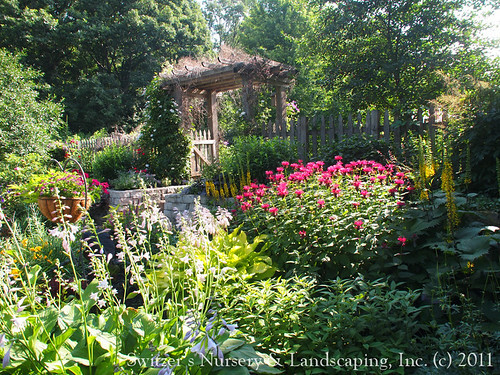 This entry was posted in Minnesota Nursery & Landscape Association, the ART of Landscape Design and tagged Art of Landscape Design, ArtofLandscapeDesign, Association of Professional Landscape Designers, creative landscape design, Glenn! 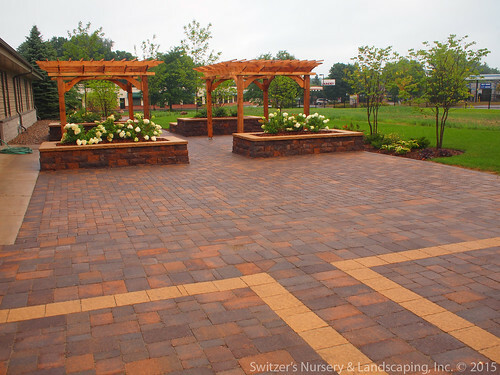 Switzer, landscape design, landscape design ideas, Landscape Designer, landscaping, paver patio, professional landscape, South Metro Landscaping, Switzer, Switzer's Nursery & Landscaping, the Art of Landscape Design, Twin Cities Landscaping. Bookmark the permalink.